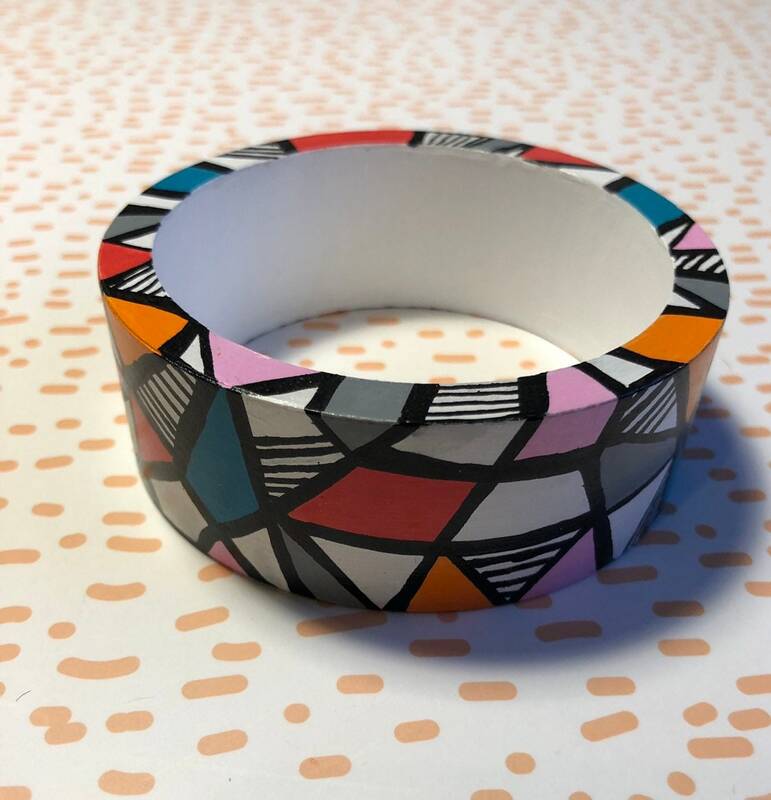 This listing is for a one of a kind hand painted wooden bangle. 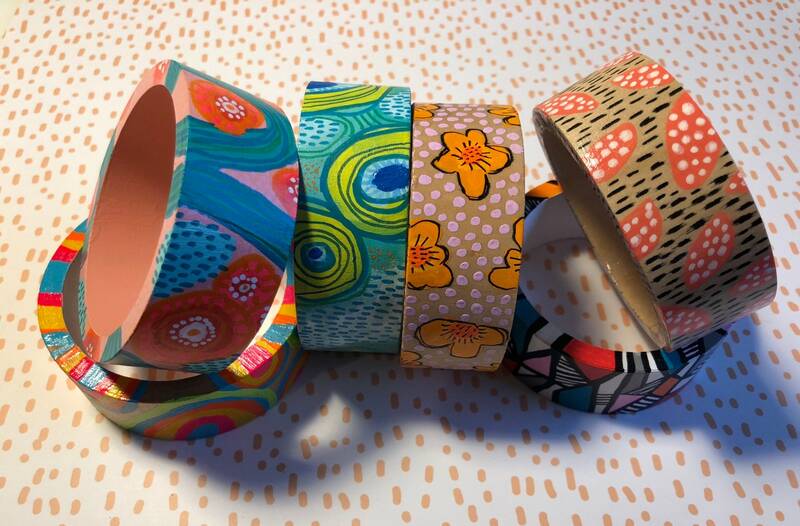 The bracelet opening is about 2 3/4 inches, large enough to slide on an adult sized wrist and move around freely. 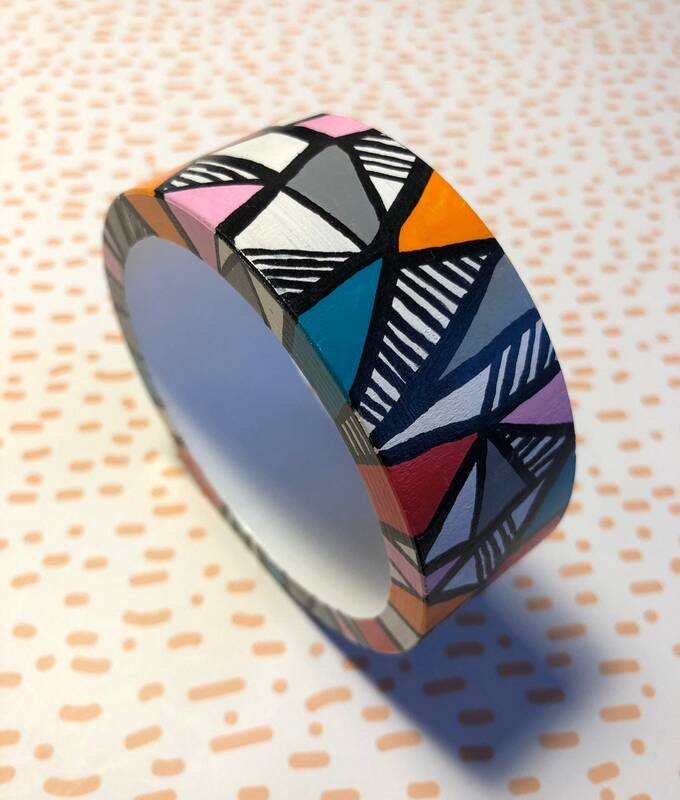 The bracelet is about 1 1/4 thick and hand painted with acrylic paint. 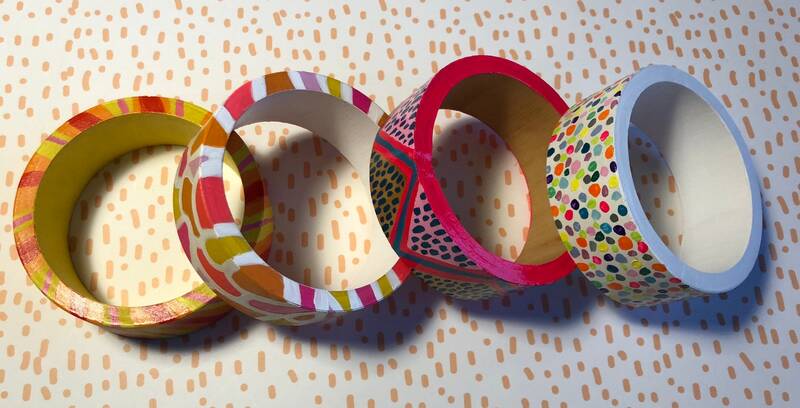 The bangle is sprayed with a clear acrylic coat to preserve paint.